The game of golf is currently growing at a rapid rate, with young players increasing by 20%, from 2.5 million in 2010 to more than 3 million in 2015. In America alone, there are now 24 million regular players, playing 465 million rounds every year in total. 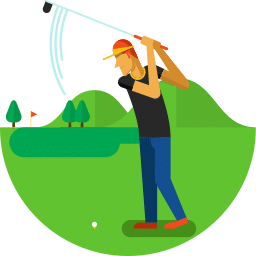 The growth of golf is surely a good thing for golfers, as it means more and better courses, better rates for greens fees, and more options for golf clubs. The most common question we receive from our readers is: what's the best equipment for a beginner? This can certainly be a confusing choice to make. In this article, we'll tell you exactly what products we think are the best golf clubs for beginners. 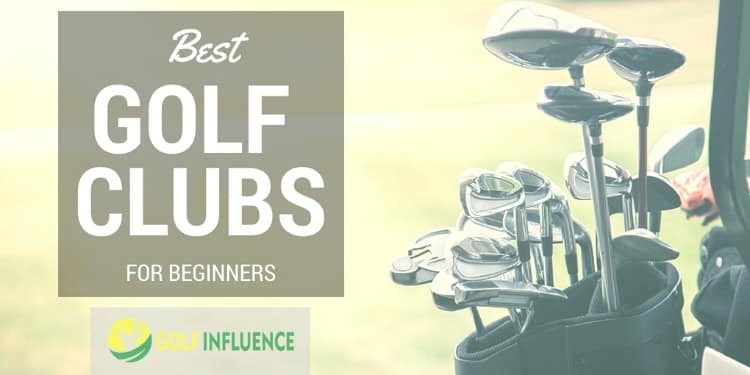 There is quite a wide variety of beginner clubs available from numerous different brands, from the most well-known to small upstart companies. There's a wide range of various technologies represented as well. Since beginners are often lacking in both knowledge of the game and what comprises a set of good quality clubs, major confusion as to what to buy can then occur. This article is geared towards educating newer players on how to choose the best starter set of golf clubs. 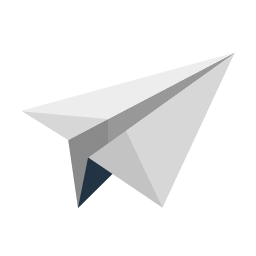 We will begin by answering a few frequently asked questions that will also act as the basis for how we give our product recommendations. What are the different types of golf clubs and when in the game are they most relevant? Why do I need golf clubs specifically aimed at beginners? 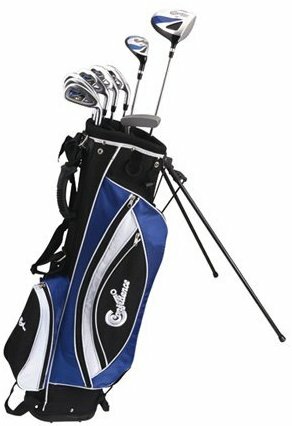 As a woman, should I buy a specific golf set or can I use the same as men? What are the brands offering beginner golf clubs and how do these brands differentiate themselves? If I play regularly, how long should I expect to keep these clubs? Do I need to worry about which shaft to use? What should I look for when buying beginner's golf clubs? Should I buy new or used golf clubs? 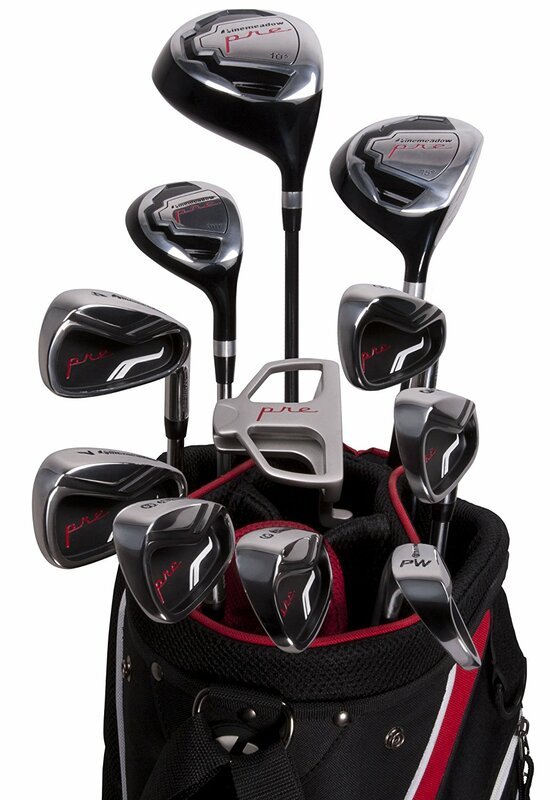 Should I buy a complete set or individual clubs? 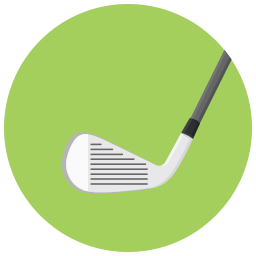 What golf clubs do I need based on my golf goals? Do I need custom fitting for my clubs? What is a normal budget to buy great golf clubs for beginners? What is the right golf club head size for beginners? Are graphite shafts better for beginners? 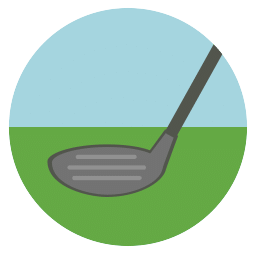 Callaway is one of the most prominent golf equipment manufacturers out there, being used by many Tour players while also being popular for players on any levels. The Callaway Men's Strata Set is a very affordable club set for beginners. It includes everything you need to get out on the course: a bag, a driver, a 3-wood, a 5-hybrid, 6- to 9-irons, a pitching wedge, and a mallet putter designed for forgiveness. Keep in mind that the 12-piece doesn't mean 12 clubs, but 9 clubs, 2 headcovers for the woods, and 1 bag. Here are why we liked the Callaway Men's Strata 12-piece Set, and some cons. The driver head separated from the shaft for some reviewers (strange, especially for Callaway's standard of excellence). If this happens to you, we recommend contacting Callaway for a replacement. To address the 9-clubs only issue, Callaway also offers 16- and 18-piece set for a slightly higher price tag. The 16-piece includes a sand wedge and a 4-hybrid, so now you have 11 clubs in total and 4 included headcovers. The 18-piece adds a 5-wood for more versatility on the fairway, totaling the number to 12 clubs and 5 headcovers. Wilson is a brand synonymous with affordability, and that is why we f​eel the Ultra Complete Golf Set is an affordable yet high-quality for beginners out there. So, you will have 10 clubs in total and a stand bag with a pretty good value. One major downside (in our opinion), you might want to consider is the steel shafts instead of graphite. Graphite shafts can significantly improve distance for beginners with lower swing speed. Using steel shafts from early days can indeed help beginners to get used to feedback and responses. We feel that this Wilson Complete Golf Set can especially be suitable for beginners with naturally high swing speed. The steel shaft can help you control your tempo. Here are some pros and cons you can expect from the Wilson Ultra Complete Golf Set. Overall, the Standard edition of Wilson Complete Golf Set offers a very decent overall value, including 10 different clubs in a very affordable price tag. Although it was released in 2015, we felt that this package provides a great overall value as a whole package. The 2017 edition features several upgrades regarding forgiveness, most notably an improved Titanium matrix driver with better, lower center of gravity placement for easier elevation. For a slight price upgrade, the 2017 version might be a better choice for those looking for more forgiveness and better technology. The brand Confidence might not be as famous as other top brands such as Callaway or TaylorMade. However, they have consistently produced many great products with exceptional quality and affordable price. These key factors are the major highlight of the Confidence POWER Hybrid Club Set. While it's very affordable, it includes 6- to 9- iron and a pitching wedge, along with a 24 degree lofted hybrid. It also includes a 460 cc titanium driver with a nice 12-degree loft for easy elevation and forgiveness, and a semi-mallet putter. Being even more low-priced than the Wilson Complete Golf Set mentioned above, it is an excellent overall value. The included irons are full cavity-back models, excellent for their forgiveness and ease of use. The Titanium driver is also especially excellent, encouraging higher launch and trajectory, forgiveness, and better overall control. It only includes a single hybrid club, but the 24-degree loft is actually very versatile, and can easily replace your long irons. Of course, it also includes a nice stand bag with plenty of external storage. For its price, it is a complete package and great overall value. You will still have a budget space to buy the wedges and woods not included in the package. Here are what we like (and dislike) from the Confidence POWER Hybrid club set. You get a titanium Driver, a 3-wood, pitching wedge, 6- to 9- irons, and a bag. Excellent value for the price. Quality-wise, the Confidence POWER Hybrid set is admittedly not the best on this list. Yet, this package is the most affordable, and with the excellent price tag, the quality of the package is very decent. 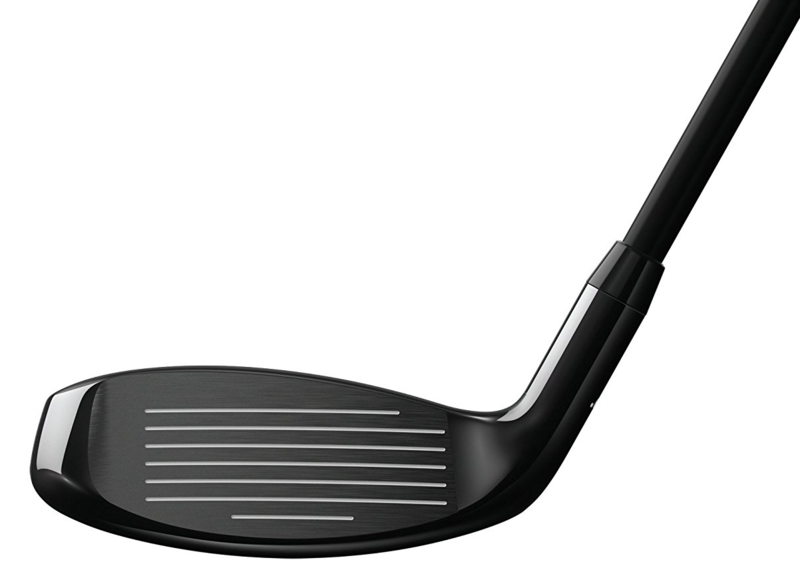 The included hybrid is quite good with a 24-degree loft angle, which is very versatile. It's easier to get the ball up and flying through the air than with a comparable long-iron. Admittedly, the included driver and putter are not very good, yet they are still decent enough to help beginners improve their game. If you're not ready to make a big investment in golf, this set provides enough performance to get you hooked on the game and ready to upgrade. Due to the affordability of the package, however, you might want to use some of that money you save to add a 3-wood and a sand wedge. Overall, affordability is the main selling point of the Confidence POWER Hybrid Club Set. A very decent overall value. 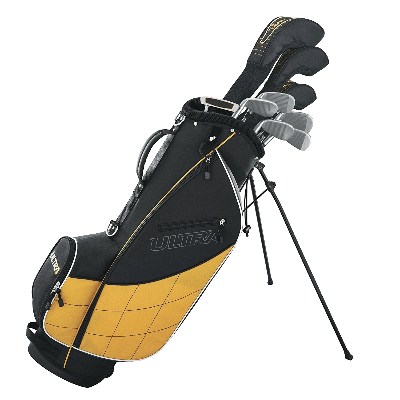 The Pinemeadow PRE Complete Golf Set is one of the most popular complete packages for beginners, being fairly affordable yet packing a very good quality. The package is a 16-piece and includes a very nice driver with a graphite shaft and 10.5-degree loft angle. The choice of a 10.5-degree loft angle is interesting since many beginners' drivers use 12-degree loft angle for higher elevation. A 10.5-degree loft can produce more distance for faster swingers and combined with the graphite shaft, it can encourage beginners to improve their swing by constantly producing satisfying distances. The package also includes a 3-wood with 15-degree of loft, which will be easier to hit off the tee than a 10.5 degree drivers. If you find the driver too hard to hit, try using your 3-wood off the tee until you're more comfortable on the golf course. 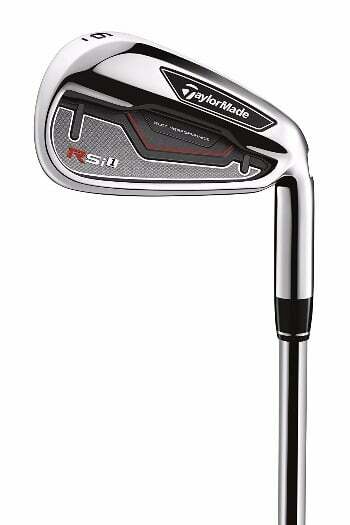 Of course, it also includes a hybrid to replace the long irons, a standard feature of most beginner sets. The included hybrid features a 21-degree loft angle, again, this is a relatively odd choice, but it is designed to close the gap with the long irons better. For the iron set, the Pinemeadow PRE includes 4- to 9-irons along with a pitching wedge. The irons are made of stainless steel, and the club heads are big enough to promote forgiveness by making the sweet spots big. Last but not least, the included mallet putter has a large, helpful alignment line that both helps beginners see the line and provides a high Moment of Inertia. It is well thought out and well-made. The included bag and covers are actually some of the best quality compared to other packages on this list. 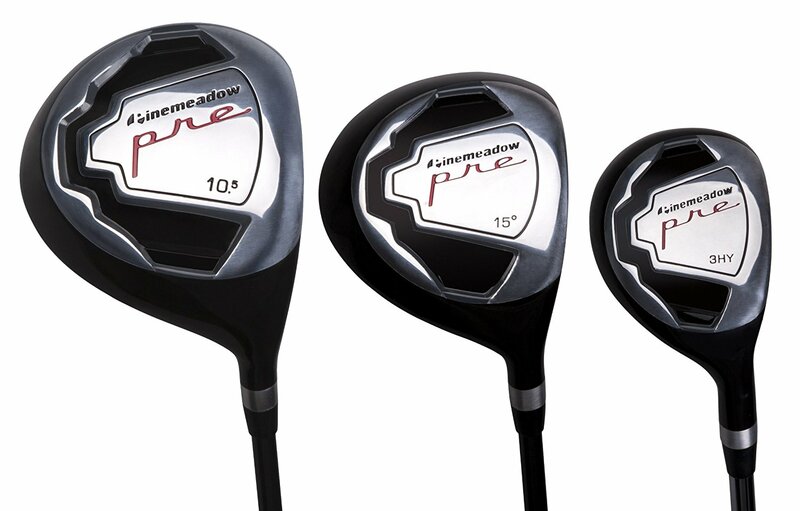 With the 11 clubs included, although it is not as affordable as the aforementioned Confidence POWER Hybrid Set, the Pinemeadow PRE provides a great overall value. Here are some pros and cons for the Pinemeadow PRE Complete Golf Set. The irons and 3-wood are well-made. They are very well-crafted with forgiveness in mind. The 21-degree loft on the hybrid is a little awkward. Some beginners may find it hard to hit this off the ground. Overall, the Pinemeadow PRE Complete Golf set is one of the most complete packages available in the market today. With 11 included clubs, it provides extra versatility over some of the 10-club packages, and its durability was among the best of the beginner sets we reviewed. Although it is not the most affordable on this list, the Pinemeadow PRE Complete Golf Set is still decently priced. It includes 11 clubs and a very nice stand bag, and the durability makes this a solid long-term investment. The Callway X2 Hot driver and irons from Callaway are one of the most popular clubs today, succeeding the best-selling X Hot line since 2014. This line is designed with distance and forgiveness in mind, and they are some of the longest drivers and irons available today. This complete set does not include a golf bag, which is a shame. This set is also significantly more expensive than others on this list. 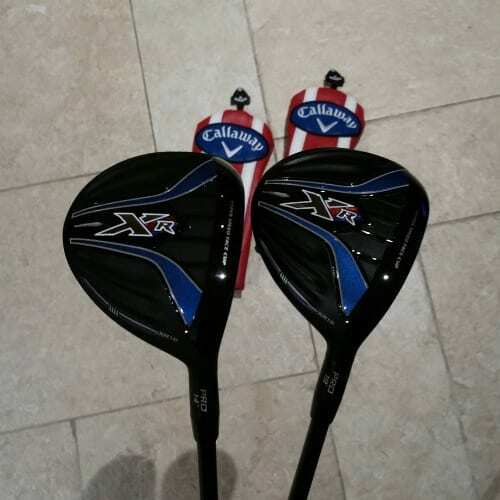 Considering the quality of the Callaway X2 Hot series, this is a great investment, especially considering they can still be effective once you passed the beginner stage. The X2 Hot clubs are still popular with mid-handicap players, so you can consider it a very high-quality long-term investment. 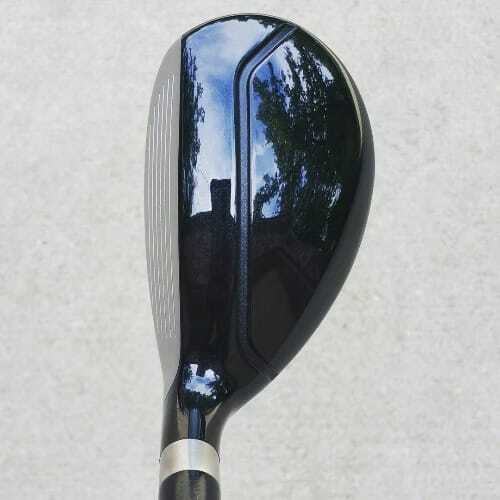 The driver is top-notch with a graphite shaft, 10.5-degree loft, and a very forgiving titanium head. It is one of the most forgiving and longest drivers around nowadays, and you can strike awe-inspiring drives even when you miss the sweet spot. The set includes 6- to 9- irons, and a versatile 5-hybrid to replace the 5-iron. They are well-made with perimeter weighting technology for forgiveness, accuracy, and distance. One of the longest irons available. The included 3-wood has a very big club head, allowing more forgiveness, and is made with a similar approach to the excellent driver. The package also includes a pitching wedge and a sand wedge. You might notice this is the only set on this list that includes a sand wedge. The sand wedge is very important to add more versatility to your game, and to escape difficult situations (traps and bunkers). This is a nice inclusion and is another major selling point of the set. However, you might notice that this set does not include a putter, which can be a hassle for some. We feel that putters are especially personal, and it will be extremely hard to find a putter that will suit your preferences in a complete set. Most likely you will invest in another putter anyways, so overall this is not a big issue. This is a next-level quality set, really in a class by itself among the sets we reviewed. As you can see, there is nothing but praise for the Callaway X2 Hot Complete Set, yet here are some pros and cons of this set. Sand wedge included is a major selling point, and the sand wedge is actually very effective for chips and lobs. The X2-Hot is actually a professional, high-end club set that can be used by beginners, instead of being a true beginners' clubs. Even so, they are some of the most forgiving clubs available today, and beginners can definitely benefit from using them. The driver and irons are some of the longest and most forgiving in the game today and are popular even among Tour pros. All the clubs are exceptionally well-made, as expected from high-end Callaway clubs. If you are looking for quality and long-term investment, the Callaway X2 Hot Complete Set is the right choice. 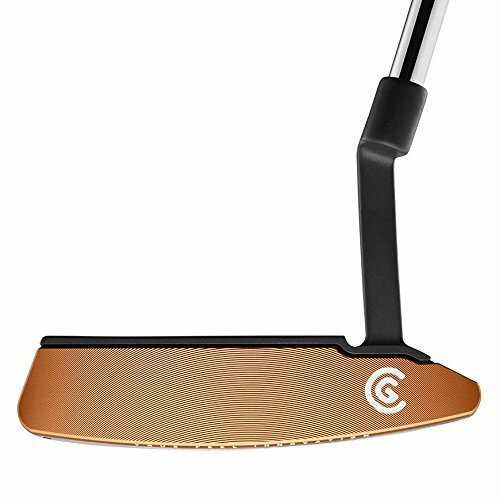 The lack of an included putter might actually be a boon since you can individually buy a putter that can suit your putting stroke and preferences better. Again, a great long-term investment with top-notch quality. Before we answer this question, let us first understand the principle behind it: why do you actually need that many different golf club types? The golf course is a very large space, averaging 74 acres. In that vast space, there is a wide variety of different terrains you will face during the game. That fact, in turn, creates a lot of different situations as you play the game, and that is where the need for diverse golf clubs arise. For long shots on the fairway, for example, there is a specific type of golf clubs designed for maximizing distance: the fairway woods or the driver. For mid-range and shorter shots, you can use irons. When you are trapped in the sand bunker or hitting short chips around the green, there is the sand wedge. When you are on the green and you need precision instead of distance, there is the putter. Can you do it all with only one club? Technically, sure. I suppose you can grab a single club and hit the course, but that's a variation of the game known as One-Club. If you want to actually enjoy the game of golf, you'll need a full set of clubs to accomplish all the different shots required. Practicing occasionally with a single club can help you learn how to be creative and hit different types of shots with a club you wouldn't normally use, but that's for more experienced players. Keep in mind that the rules of golf will limit you to take a maximum of 14 different clubs for a round of golf. Here we describe in detail each different type of golf clubs, and how they are commonly used. We have briefly mentioned the woods above, and highlighted that they are all about distance. The club we call the driver is the lowest-lofted of the woods, often deemed the 1-wood, and is typically used to hit the ball off an elevated tee. The lower the loft angle is, the farther a well-struck ball will travel. The name woods derives from the fact that they used to be actually made of w﻿oo﻿d, commonly hickory or persimmon. 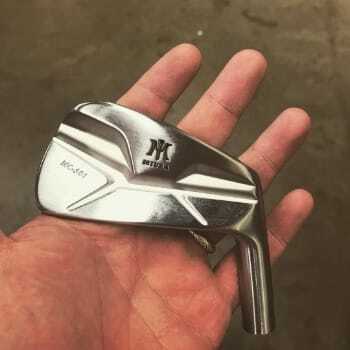 Nowadays, they are made of metal (and often called the oxymoron "metalwoods"), such as titanium or steel, mainly because metal manufacturing technology has improved so much that they can be lighter than wood while being much more durable. This allows manufacturers to construct very large, forgiving clubheads that help beginners hit better shots from the start, true beginner golf clubs that is. The club face of the woods is relatively large compared to other clubs, and the loft angle is lower to produce the most distance. The higher numbers of the woods are generally known as the fairway woods, and as the name suggests, are designed to hit the ball from the fairway. They are generally smaller than the driver, with a smaller profile needed to pick the golf ball deftly off the grass. The irons get their name from the metal club head, and are commonly used when a golfer is less than 200 yards away from the green. When you are purchasing an iron, typically they come in a set, numbered from 3 to 9 with the higher number represents a higher loft. While they do exist, it is rare to find any golfer using a 1- or 2-iron, as they're considered incredibly difficult to hit successfully. Even professional golfers would rather use a 5-wood or a hybrid rather than attempt to hit a 1-iron. The 3-, 4-, and 5-irons are called the long irons. They both have the longest shafts of the irons in a set and are used for longer-distance shots; hence the moniker "long irons". 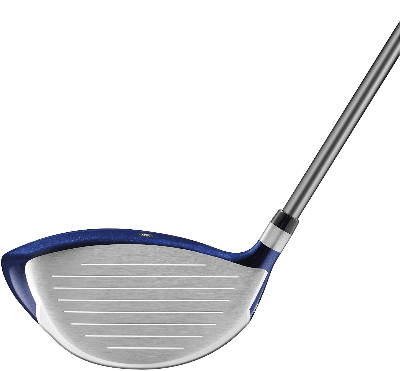 They are often the hardest clubs for beginners to hit and are often replaced in a set with hybrids. The 6-, 7-, and 8-irons are known as middle irons, typically used when the ball is roughly 130-180 yards away from the green. Last but not least, the short irons are the 9-iron and pitching wedge, which are designed to hit higher, shorter shots to the green. Nowadays, the typical iron set contains 3- through 9- irons along with a pitching wedge and sometimes a gap wedge (used to cover distances between your pitching wedge and sand wedge range). As the name may suggest, the hybrids is a hybrid of irons and woods, mixing some of their features and qualities. The club face of a hybrid club is similar to the irons, but the head is rounded like the woods. As a result, the hybrids have a lower center of gravity that is also pushed further back, which in turn creates forgiveness. Hybrids are considered more forgiving than both the woods and the irons, and they come with more variations in loft angle from 16 to 26 degrees. When to use them? 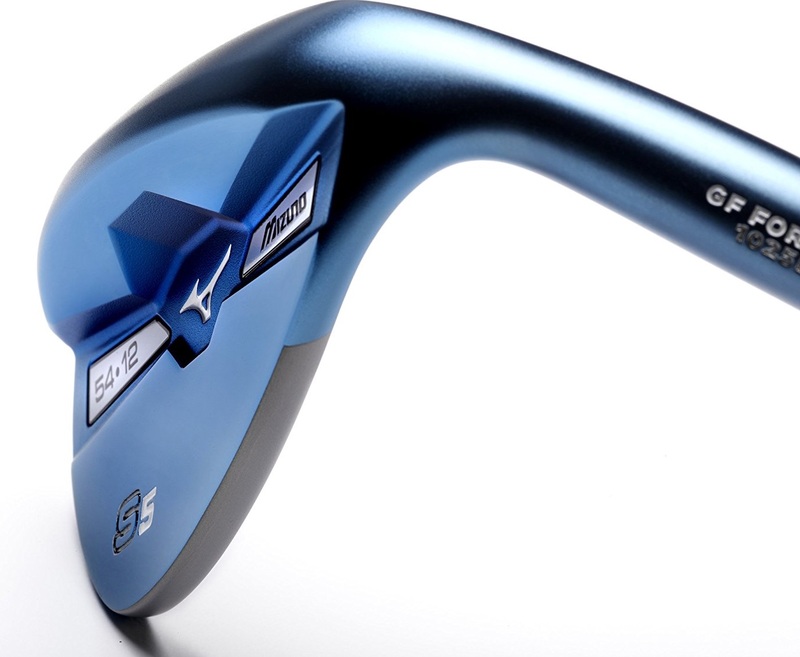 They are generally used as more forgiving alternatives to the long irons (1- to 6-irons). Alternatively, you can also use the hybrids to fill the gap between the fairway woods and the mid-short irons. Your lowest numbered hybrid should be 10 to 15 yards shorter than your highest fairway wood to maintain consistent distance gapping. "Distance gapping" refers to the difference between number of yards between the average distance you hit one club and the next club. For instance, if you hit a 3-wood 200 yards, you should hit your 5-wood 190 yards and your 3-iron 180 yards. This will allow you to cover as many different situations as possible when you're on the golf course. Having overly large or small distance gaps can be either a swing or an equipment issue. It's a good idea to visit your local pro to help figure out how far you hit each club. The pitching wedge, commonly included when you purchase an iron set, has a loft between 46 to 51 degrees. It is usually used when the ball is around 120 yards from the green. The sand wedge is used to escape the sand bunkers or very tall grass, or from 100 yards and in. A gap wedge is also commonly included in an iron set, and is used to fill the gap between the pitching wedge and the sand wedge to hit the ball around 110 yards. The lob wedge is used to produce a lob or flop shot, when you need the get the ball high in the air quickly and land without much rollout. A flop shot should fly high and land softly, stopping close to where it landed. It's a difficult shot to pull off and should only be attempted by intermediate to advanced golfers. Beginners can still use a lob wedge to hit short shots inside 80 yards and short greenside chips. Wedges are very versatile with a lot of applications and can get you out from a lot of tricky situations when applied correctly. 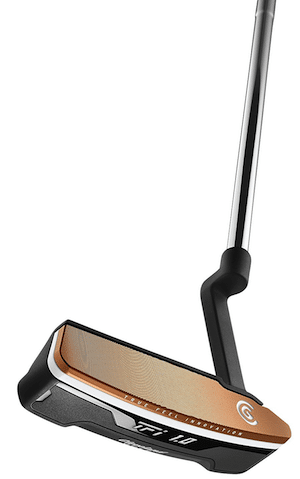 Last but not least, there is the putter, arguably the most important club in the bag. The putter is often used for more strokes per round than all the other clubs in the bag combined. Putters are made with only one purpose: to roll the ball along the green towards the hole. Putters come in different shaft lengths, with the standard being about 32" to 35" long. The ideal putter length often comes down to personal preference. If your putter feels too long, you can choke down on the grip to make it effectively shorter. Some golfers purposely buy an overly long putter and choke down a few inches on the grip because they like the feel of the extra weight at the grip end of the putter. The mallet putter, on the other hand, is more forgiving and typically has a high moment of inertia, allowing the ball to roll the intended distance even when the sweet spot is missed. The belly putter and broomstick putter are much taller clubs and are used to give the golfer a better putting stroke when the player has problems using a standard putter. However, a recent rule change made it illegal to anchor these putter styles against your body, so the use of these two putter styles has declined dramatically. There is a variety of golf clubs out there, each with their own purpose. Woods are designed for distance, irons for approaches to the green, hybrids if you find long irons impossible to hit, wedges to lift the ball high in the air, and putters to roll it into the hole. Typically, every manufacturer of golf clubs offers a specific version designed for beginners. They all have one thing in common: more forgiveness. Most problems for newer players result from mis-hit shots, which sacrifice distance and produce unwanted hooks or slices. Beginner clubs are designed to have larger sweet spots and more forgiveness when you miss that sweet spot. Beginner clubs can still provide top-notch performance while players learn to improve their game. In my personal opinion, forgiving clubs that can help manufacture decent shots from mediocre swings will help new players to engage more, giving them that adrenaline rush that you can only get from watching a good golf shot fly through the air. The more good shots you hit, the more likely you are to play more, practice more, and improve. As a beginner, you might think that using the same clubs a tour player uses will give you the best chance of success on the golf course. In fact, the opposite is true: tour-level clubs are engineered to perform to the specs of only the best and most experienced players. Equipment specially made for beginners (such as the best golf clubs for beginners) will give you the best chance at falling in love with the game of golf. Trying to start out with hard-to-hit tour-level blades will likely result in discouragement and an early exit from what can be a rewarding lifelong pursuit. Cavity-back "game improvement" irons are designed for max forgiveness. Beginners should avoid "blade"-style irons, as they're much more difficult to hit. 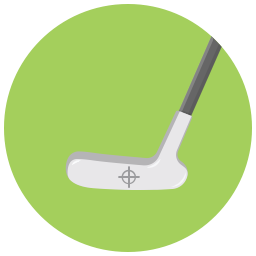 Blades are designed for experienced players who wish to bend their shots, while beginners should be trying to hit shots as straight as possible. A lot of drivers are designed for beginners, typically by moving the center of gravity lower and further back, so you can achieve adequate distance even on mis-hits. A lot of major manufacturers are offering beginner versions for every club type. If you are a newer player, you should take advantage of these clubs to improve your game faster. Women are naturally different than men. They are on average, shorter and smaller in stature, and the golf clubs for ladies are designed with that fact in mind, where they are typically shorter with more flexible shafts. The grips found on ladies' clubs are also shorter and smaller in diameter, to accommodate womens' frequently smaller hands. Women players shouldn't be worried about differences in features or quality, as similar technologies are applied to the ladies' clubs. Besides the smaller stature, it is also common for female golfers to have slower swing speeds. To accommodate the slower swing speed, ladies' clubs are commonly lighter and have more flexible shafts. Many womens' sets come with graphite shafts throughout the set to help achieve maximum distance. While men's drivers commonly have 9 to 11 degrees of loft, ladies' drivers typically have a minimum of 12-degree loft to improve the launch angle at a slower swing speed. The higher loft angle allows higher flight trajectory, which in turn will produce more distance even with slower swing speed. Ladies' sets often have 7- or 9-woods to replace 3- and 4-irons, as the woods help achieve a higher, longer ball flight at lower swing speeds. Ladies' irons have more flexible (often graphite) shafts, and the club is lighter overall. The club head is usually slightly heavier to allow better head position with more flex. To make the weight of the club lighter, ladies' clubs typically come with graphite shafts, which are significantly lighter than steel. Men's clubs, on the other hand, can use steel or graphite. Graphite shafts are also naturally more flexible, which allows better club head position during the swing. There are some differences in how women and men play golf, that is why we recommend that women specifically purchase golf clubs tailored to them. There are beginner golf clubs specifically made for women available on the market for all the models reviewed in this article. Callaway offers complete club sets directed for beginners, such as the Strata series. There are still many brands offering beginners' clubs, but how do they differentiate themselves? The main emphasis in both design and technology for beginners' clubs is about forgiveness. The differences you will find between each manufacturer is generally about their approach in producing more forgiveness. To make the area of impact bigger, giving more Moment of Inertia (MOI). By making the sweet spot bigger, players can produce well-struck shots more. To manipulate the center of gravity placement. Generally, a low-back position will allow more forgiveness. 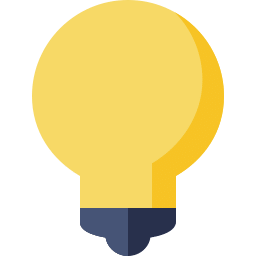 While those are the only two major principles to achieve, there are myriad ways to achieve them, and manufacturers' R&D departments are working to find new ways and technologies every single day. TaylorMade, Callaway, and Wilson all offer high quality golf sets for beginners. These sets offer maximum forgiveness and distance on off-center hits by optimizing center-of-gravity and maximizing Moment of Inertia. This is a tough question to answer, as it might vary with each individual due to many factors. As a general rule, you can keep your clubs for at least three years before new technology may start to make them obsolete. Also, if you play frequently, the grooves of your irons and wedges may become worn down and you'll find performance will start to degrade. Another factor you should consider is whether your game will improve during those years, as you might hit a performance wall and need to invest in clubs for better players. If you've fallen in love with the game, you'll want to spring for a custom-fitted set of clubs. A good quality beginners' set should be good to go for at least three or more years. This is a general principle: the slower your swing speed, the lighter and more flexible your shaft should be. Golfers with very slow swing speeds may benefit from using graphite shafts. High-speed swingers can use stiff or extra stiff steel shafts for maximum control. To get a clearer picture, let us discuss the pros and cons of each shaft type. Steel shafts typically offer more control than lighter graphite shafts. They also cost much less than typical graphite shafts. Players with higher swing speed will benefit from the heavier nature of steel shafts, helping them to control the tempo. There is another clear benefit of the steel shaft: the vibration of the steel material itself, which enables the golfer to feel the quality of the ball strike. The feedback of this vibration can help skilled players to assess their previous swing, which they can use to fix their mistakes as the round goes by. Steel shafts are heavier and can slightly reduce the swing speed. The difference of swing speed can be up to 4 miles an hour, a loss of roughly 10 yards of distance. With steel shafts, mis-hit shots can irritate your hands and arms due to the vibrations and weight. This is especially true in colder weather--vibrations from poorly struck shots can really hurt if it's cold out! Most golfers can increase their distance by roughly 5 percent by using a graphite shaft. The vibrations on mis-hits are also muffled, so they are less painful. The graphite shaft will be especially helpful for players with slow swing tempos. Modern graphite shafts such as UST Mamiya Recoil shafts can be built to the specs and feel of steel shafts yet retain the vibration-dampening advantage of graphite. The flexibility and whip effect of graphite shafts can be hard to control. For players with poor swing habits, those can be exaggerated due to the flexibility of the shaft. You will need practice to get used to the flexibility. Graphite shafts are also generally more expensive of around 15 percent price difference. Although the general answer is that graphite shafts will suit beginners better, that isn't always be the case. A lot of newer players have naturally high swing speed and will benefit from the feel of heavier, stiffer steel shafts. If you have a slow swing speed, use a graphite shaft. Otherwise use a steel shaft. 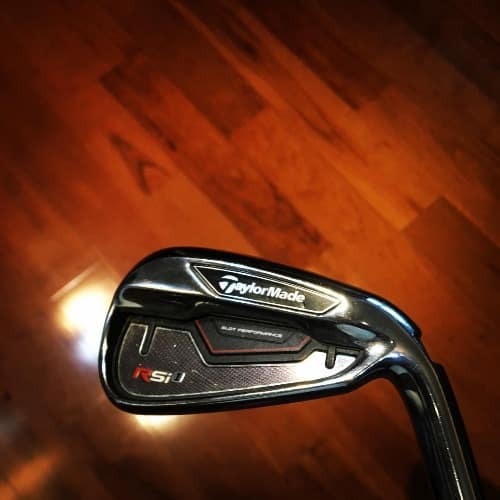 When searching for a new set of clubs, beginners often come across the term “super game improvement irons.” For those golfers who need the most help, super game improvement irons help get the ball in the air quickly. This help in elevation off the club face allows for maximum ball speed that assists the beginner in getting the most distance from their shots. There are three areas of focus to consider when buying beginner golf clubs. The first characteristic is forgiveness. 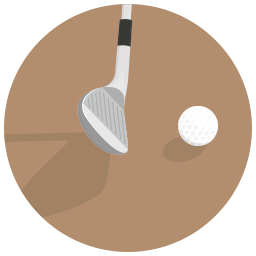 Since beginning golfers won’t have strong fundamentals, they will experience a high percentage of shots where the golf ball doesn’t meet the center of the club face. These occurrences are called off-center hits. ​By finding clubs with larger sweet spots in the middle of the club face, the ball will stay straighter on off-center strikes. As a result, the beginner will see improved shot making as well as lower scores. The second area for beginners to focus on is finding clubs that are lighter in weight to increase their swing speed. 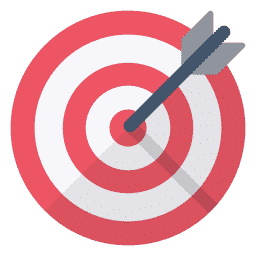 Remember that it is vital for the club to be moving fast through the golf ball to get the distance necessary to see an improvement in scoring. Longer drives mean shorter second shots which are known to provide a higher percentage of birdie chances. Older clubs usually haven’t been able to take advantage of the latest technology that helps redistribute and lessen the weight of club heads. Finally, the last area is finding the correct flex for the shafts in your clubs. Flex rating is connected to the beginner’s current swing speed. Too much or too little flex will cause problems with getting the club face back to square at impact. When buying golf sets for beginners, watch out specifically for club weight, shaft flex and forgiveness. 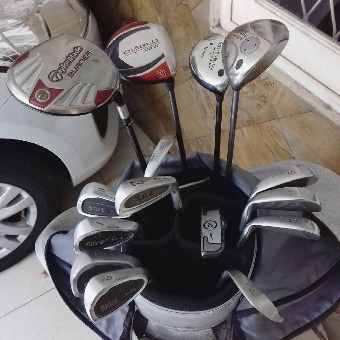 It is generally hard to find used beginners' clubs in good condition, due to the fact that beginners tend to make a lot of mistakes during their early days. 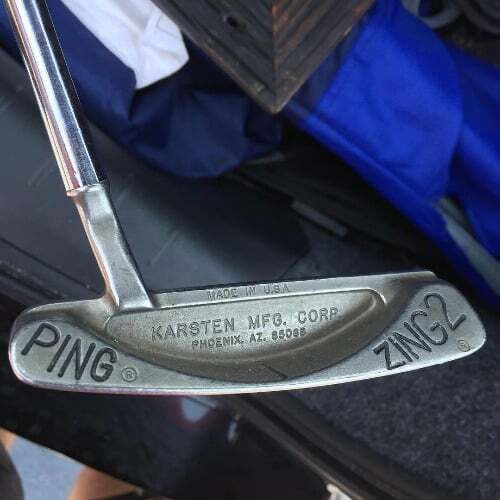 This results in lots of excess wear and tear on clubs. If you can find clubs in good condition from a recent product line that uses modern technology, used clubs can be a good option to save a few bucks. Beginners' clubs tend to get obsolete faster than others, because technologies and designs enhancing forgiveness progress rapidly every year. In our opinion, you are better off buying new clubs, and you can make the most of the improved forgiveness designs. It is also easier to find clubs more suited to your specific needs that way. We recommend that you buy new golf clubs instead of used ones. In our opinion, beginners are better off buying a complete set. That is due to the fact that many beginners haven't yet developed their playing style. Getting a basic, matched set will help you figure out what you like and don't like about standard golf club setups. When you're ready to upgrade, you'll know if you prefer long irons or hybrids, or if you'd rather have a 5-wood or a lob wedge. Besides that fact, a complete set is also often a more affordable investment. Sooner or later, your playing style and skill level will improve and you will hit a performance wall, and you will want to upgrade to a set more customized to you. Investing in a more affordable complete set will enable you to have more options in the future. We recommend to buy a complete set if you are just starting out. The beginner should always start their golfing journey with modest goals. Too many first-time players believe that they should instantly replicate the swing they see from the pros they watch on Sunday afternoons. Instead, beginners should find clubs that help them do two things that will allow them to play the game better in a shorter period of time. The first step in finding golf clubs that will help best assist them in increasing their swing speed. More swing speed means more distance. So as you can see, finding clubs that are lightweight and with the right shaft flex is vital to increase your swing speed. The second area is finding clubs that utilize perimeter-weighted club heads. Manufacturers have created perimeter-weighted clubs to promote stability and control for high-handicappers. These clubs allow for more forgiveness on off-center hits and boost the ball height. Therefore, look for lightweight, perimeter-weighted irons and woods when starting to build your first set of golf clubs. We recommend that you start with easy-to-achieve goals so you stay motivated. Therefore, you need golf clubs aimed at swing speed ideally with perimeter-weighted club heads. Many golfers shy away from custom fittings by professionals due to the expense of buying custom-made clubs. And although this is a valid reason for avoiding a fitting, it does not take into account the value a proper club fitting brings to your game. If you are concerned that you are not far enough along in developing your swing, then take the time to continue to learn the proper fundamentals. Practice with the goal of having a professional make an assessment three-to-six months after seriously devoting the time to building your swing. A club-fitting allows the professional to assess your swing by reading a host of data that influences the choice of finding the correct flex shaft as well as the right loft for your woods and irons. By playing with properly fitted clubs, you are giving yourself the chance to achieve your best score. If you are ready to pay $1000+ for golf clubs, get them custom fitted. Otherwise, it is not necessary and not worth the extra cost. 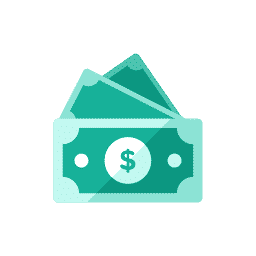 A typical budget for a beginning golfer to find a great set of golf clubs should be directly related to how big you would like the set to be as you start to learn the game. 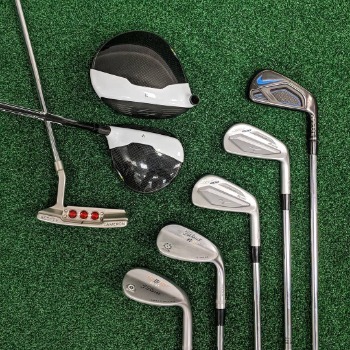 Before settling on a budget, you must choose between either buying new or used clubs and also deciding if you should buy a full or partial set. Most coaches will suggest that beginners start with just a handful of lower irons such as a 7 and 9-iron coupled with a couple of wedges. By starting small, the beginner gives themselves a chance to slowly learn the mechanics necessary in building a great swing that lasts a lifetime. Start with a small number of clubs (handful of irons for example), therefore budget should be between $300 and $500. For the beginning golfer, finding the right clubhead size is extremely important in getting the extra help you need to lower your scores. The shape of a club head is vital in creating ball height as well as backspin. Factors such as the width of the sole of the clubhead on an iron to the height of the blade influence how the ball leaves the club face. 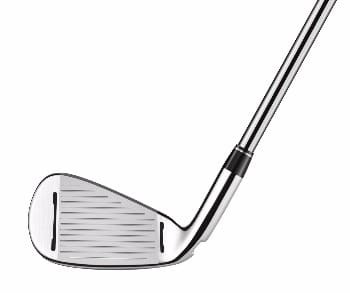 Super game improvement irons that are made explicitly for beginners, share such characteristics as perimeter-weighting around the larger clubhead to boost forgiveness as well as a wide sole width to keep the club low through the impact zone. Both of these features assist the beginner in limiting their thin shots, which produce ugly hooks and slices, and instead, get the ball up into the air quickly so that the length and direction of the shot are straight and matches the swing speed of the golfer. As you progress in your golf game, you will outgrow the super game improvement irons because they are blunt instruments created to get the ball up into the air and down the fairway, sacrificing control and precision that golfers with more experience tend to prefer. But these larger headed clubs do serve an important purpose for the beginning golfer looking to capture some joy earlier in their playing careers. By having small victories on the course, beginning golfers catch the golfing fever and will be driven to pursue their lowest possible score. For beginners, the benefit in having graphite over stainless steel shafts in their clubs is that the graphite is lighter allowing for greater swing speed. The added yardage is especially advantageous when hitting second shots into the green. 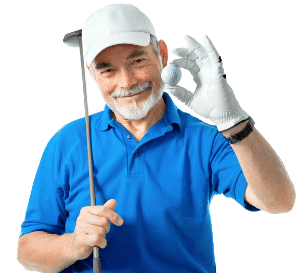 Golfers who have had physical issues with their back, arms or shoulders can also help ease the pain of swinging a golf club with the lighter graphite shafts. Another area where graphite helps the body is by minimizing vibrations on off-center strikes. Graphite shafts are better for beginners. When we take everything into account, we're able to narrow down all the pros and cons to figure out the best golf club set for beginners. This takes into account quality, completeness of the set, and affordability. There are three different Strata Sets offered by Callaway: a 12-piece (9 included clubs), 16-piece (11 included clubs), and 18-piece (12 clubs). The price difference between each of them is not much, so you might as well invest on the 18-piece for a more complete set and more versatility in your game. 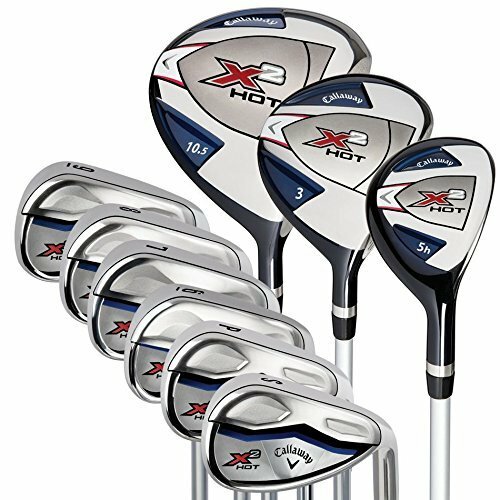 Although they are significantly cheaper than the X2-Hot for example, the Strata Sets are good quality, as you can expect from a respected manufacturer like Callaway. If you're willing to stretch your budget, the Pinemeadow PRE set has an excellent driver which is more forgiving than the Callaway Strata driver, while the Wilson Complete Set and the Confidence Complete Set will suit players with tighter budget. If price is no object, go with the Callaway X2-Hot set. We hope you've enjoyed this article and learned a little something about golf clubs as well. Don't hesitate to leave a comment or contact us directly if there are any further questions. We will be glad to help.